The N.C. Chronicles. : Women starting to explain; Why Im NOT a Feminist! Feminism, just like the remnants of totalitarianism, communism or fascism, will be around for a while still, but like them, their power has come and gone and like them, they f*ucked up everything around them. It will take generation to undue the damages these people did, they have produced the weakest leaders, a devastated if not bankrupt economy and a demoralized population. With the help of an extremely corrupt establishment media, they have made and promoted leaders who have a low understanding of the realities of the world, who promotes their own pet projects, bring in massive anti-woman's rights refugees (figure that one out because I can't), got them elected, specially in the west, with the smallest of popular support, yet prop them up as if they are loved by all. Obama, h.clinton and trudeau been a perfect example. The danger is, if the majority does decide to rise and say enough, it's not gonna be pretty. In Canada, it's all about how many yoga stance, or boxing posture the selfie queen can take, (and could someone, please, put a real boxer in the ring with this guy to shut them up, this guy wouldn't last 60 second in a real fight), that is now the extent of leadership quality the media pushes on people and the disturbing thing is, they are to stupid to see that the majority does not support nor like what they are peddling. The vote in so called democratic countries is so low that it makes it a farce. There is a good reason why people don't vote, it's because they no longer see what's there as been representative of them. There`s no optimism therefore goals are no longer the main thing, survival is. The problem is also their idea that advancing micro minorities rights over all others. 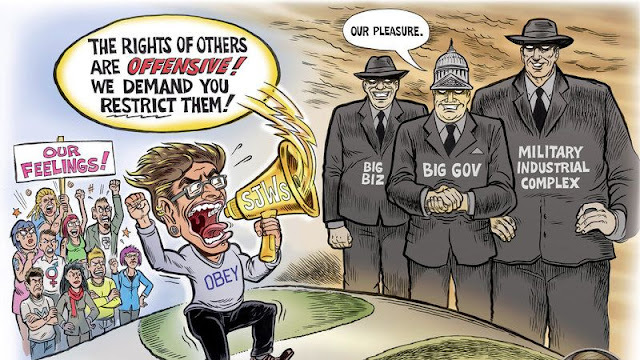 It's OK to promotes rights but one has to have some frigging balance or at the least recognize not all are for it and to call those who have reservations, some kind of phobia, smells of imposing one's ideals over the masses and that is never a good idea. 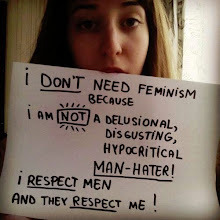 80% of the female population is not feminist, did anyone ever bother to ask them what they think, of course not, because they wouldn't get the response they are looking for. Women and men as a whole, know damn well that we achieve more by mutual respect for our individual place in the circle. Feminist and the manginas might not agree but the rest of us, realists anyway, know one cannot survive without the other at their side. They are even using kids and schools to advance their idealism, which if one looks at history, when they take this path, they always divide to a point of no return. Kids have to have limitations, a time to learn and experience with some degree of balance, but in the west there is none of that anymore and if it continues, and knowing my lefty friends, it will, they will produce the most in-attentive, laziest, demanding, unproductive population the world has ever seen and that is how civilizations fall. None of us are saying we have to go extreme right on the political scale, we just have to shake our heads and stop going extreme left because we are all afraid to be called names if we object. Opposition to an ideal is not racist of a phobia, it`s real democracy. And if someone tells you otherwise, they are anti-democratic. The west is falling, that`s a reality, maybe it`s for the best, after all, it is the way nature has always worked. To bad, it did have a lot of promise.